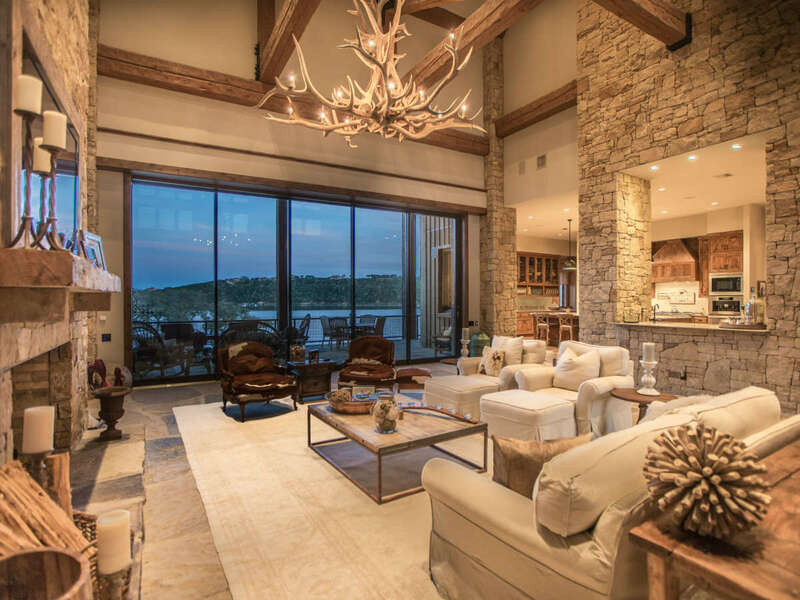 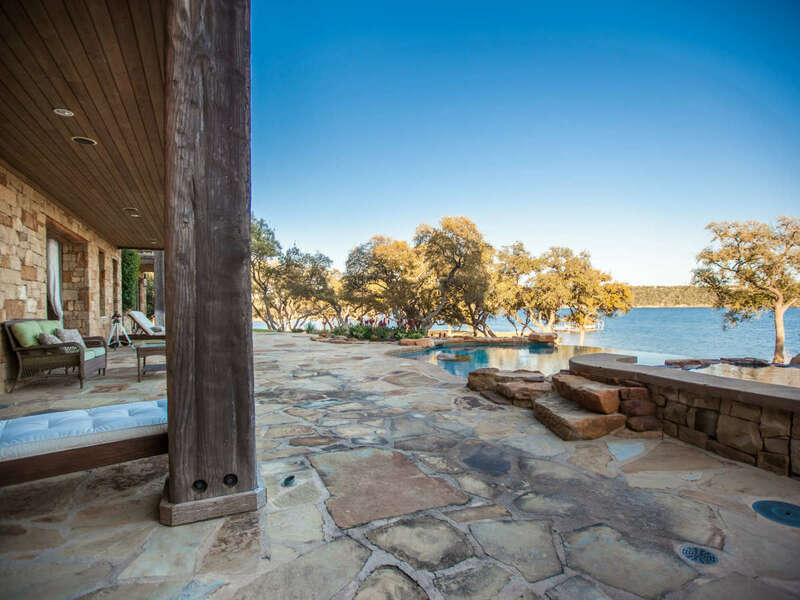 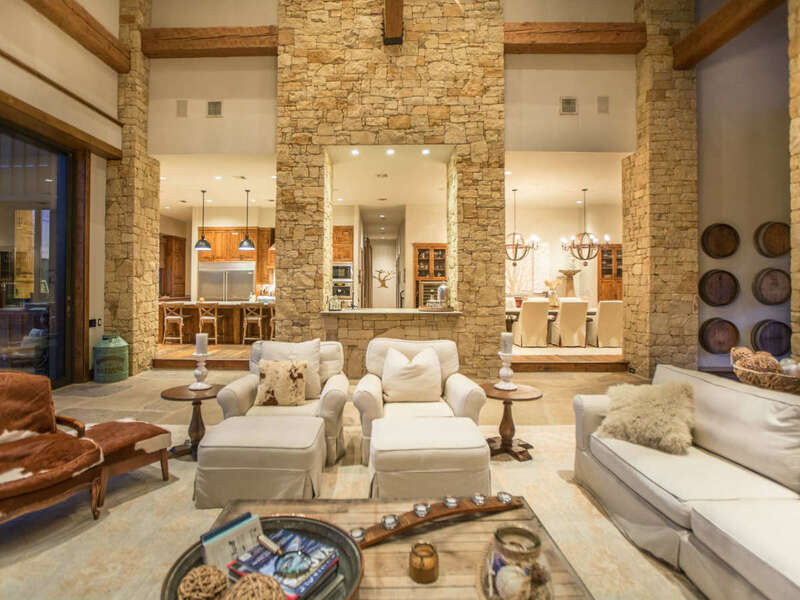 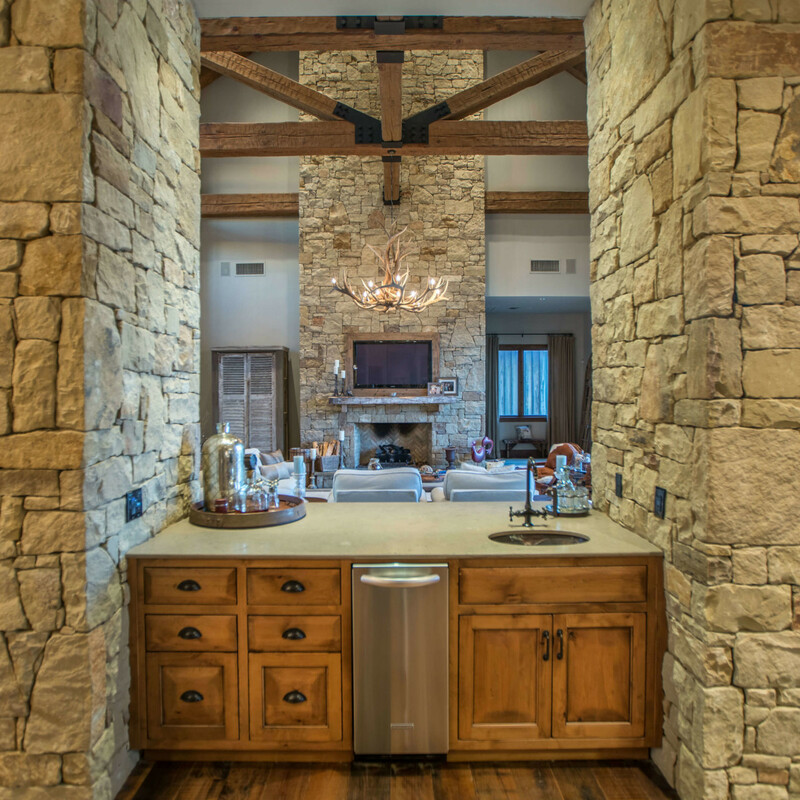 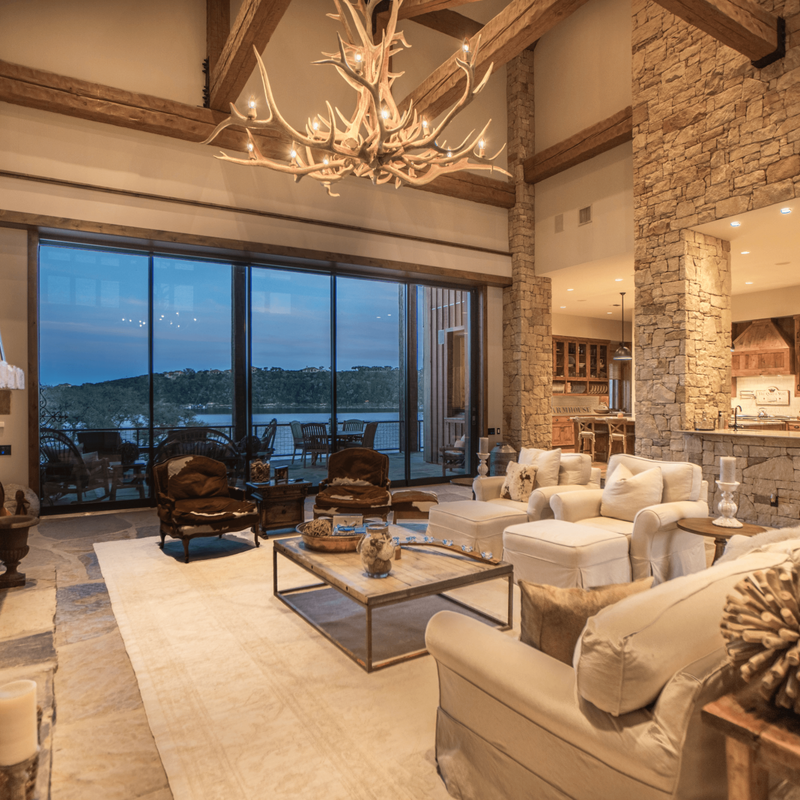 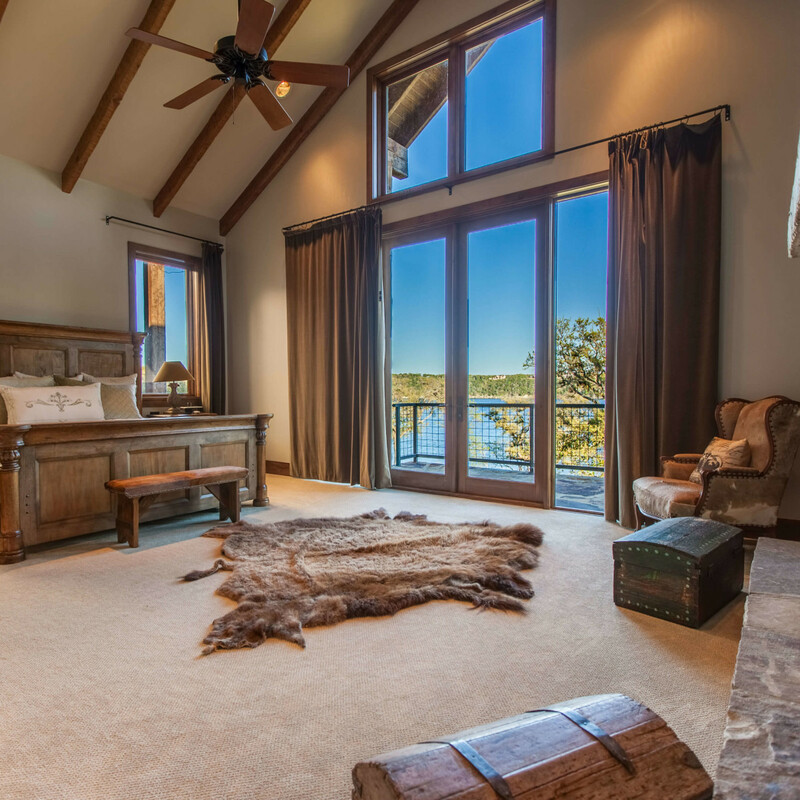 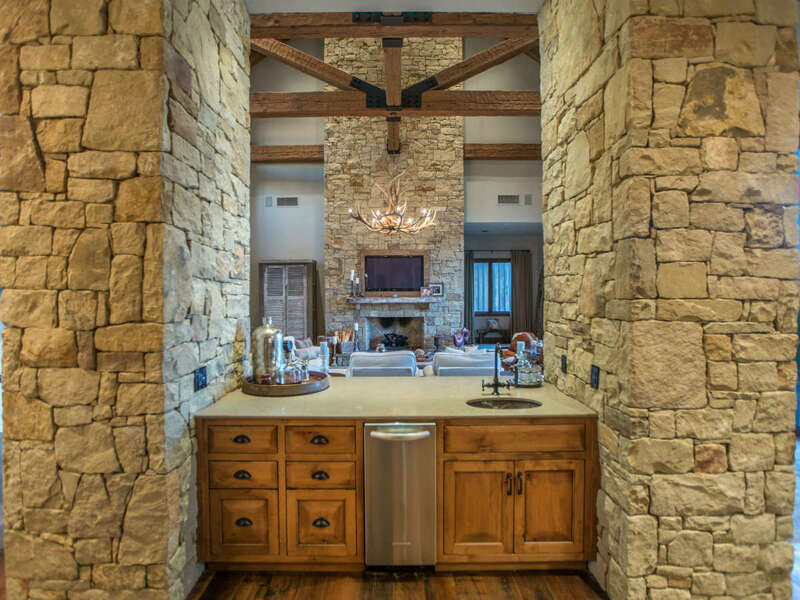 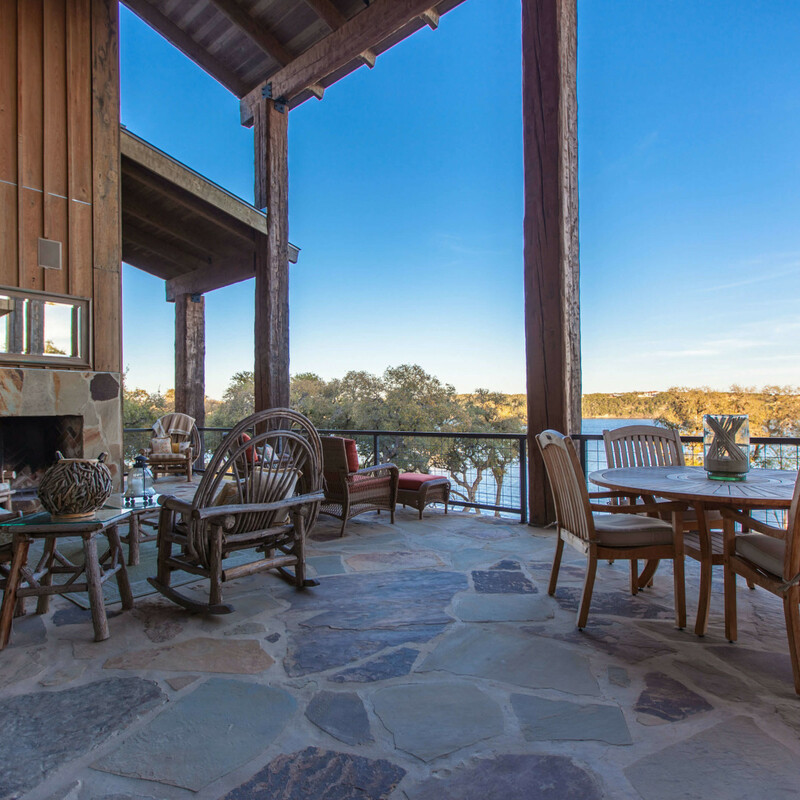 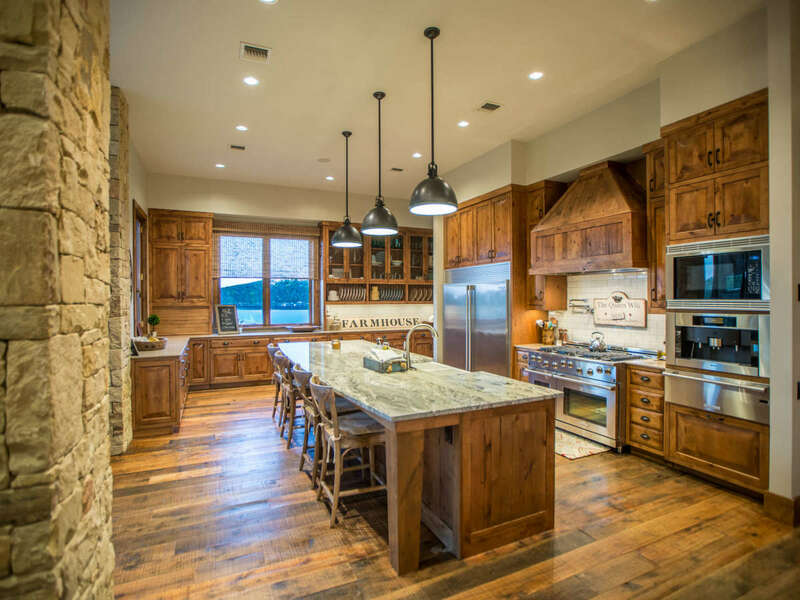 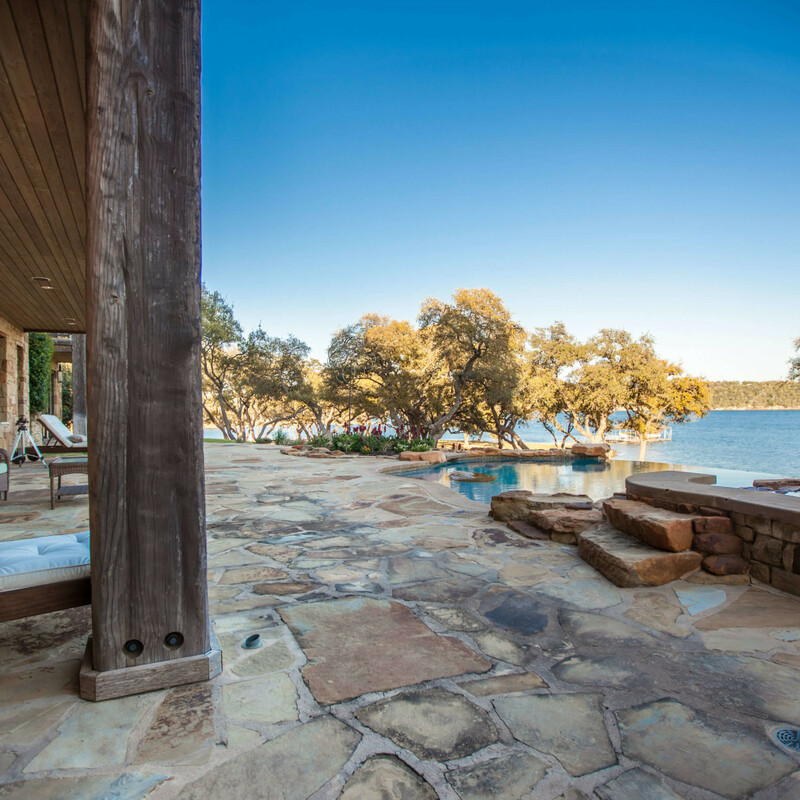 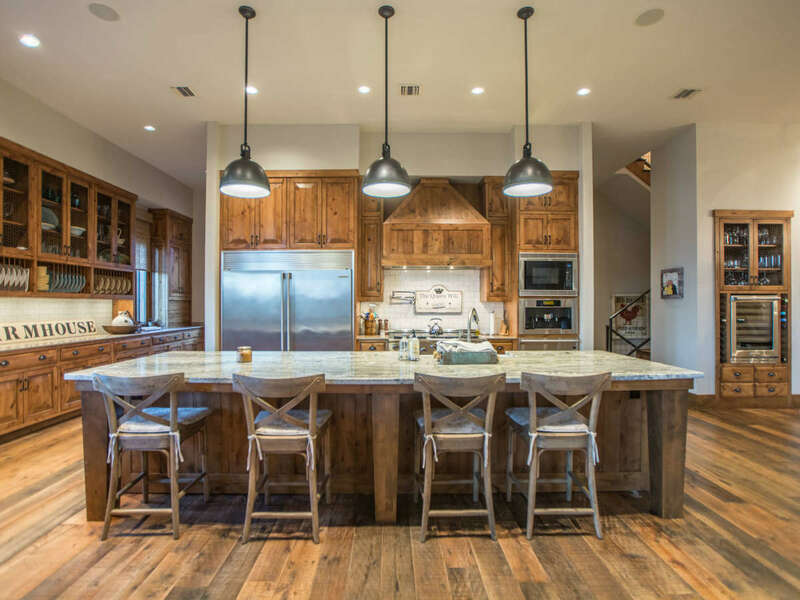 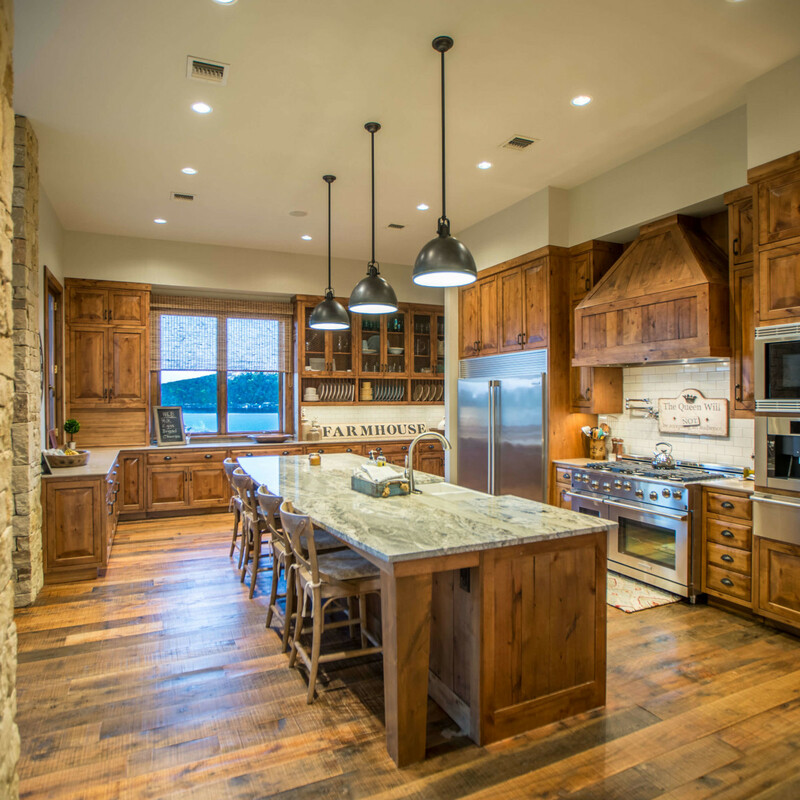 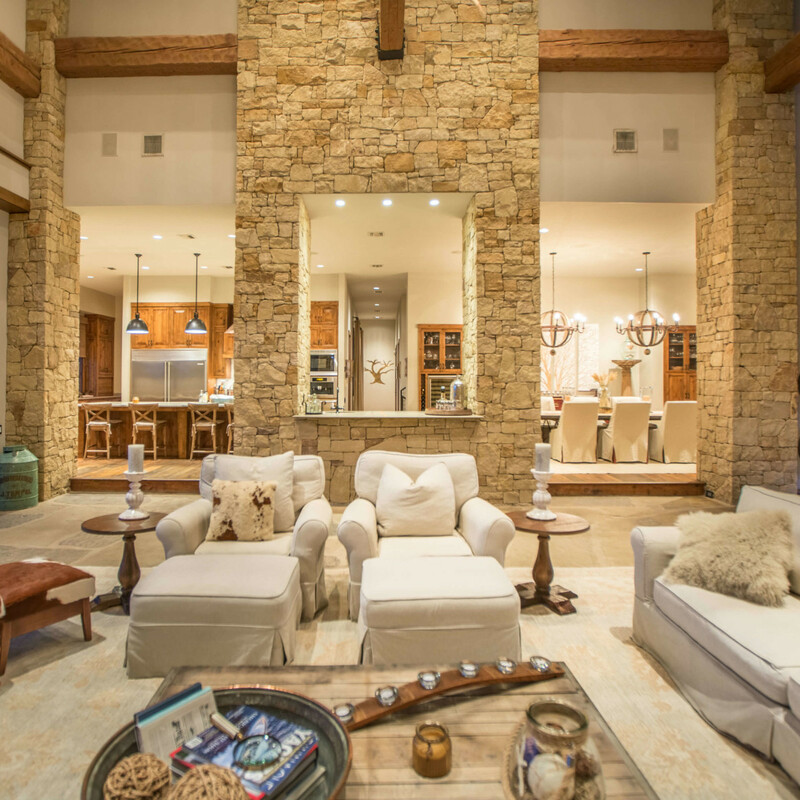 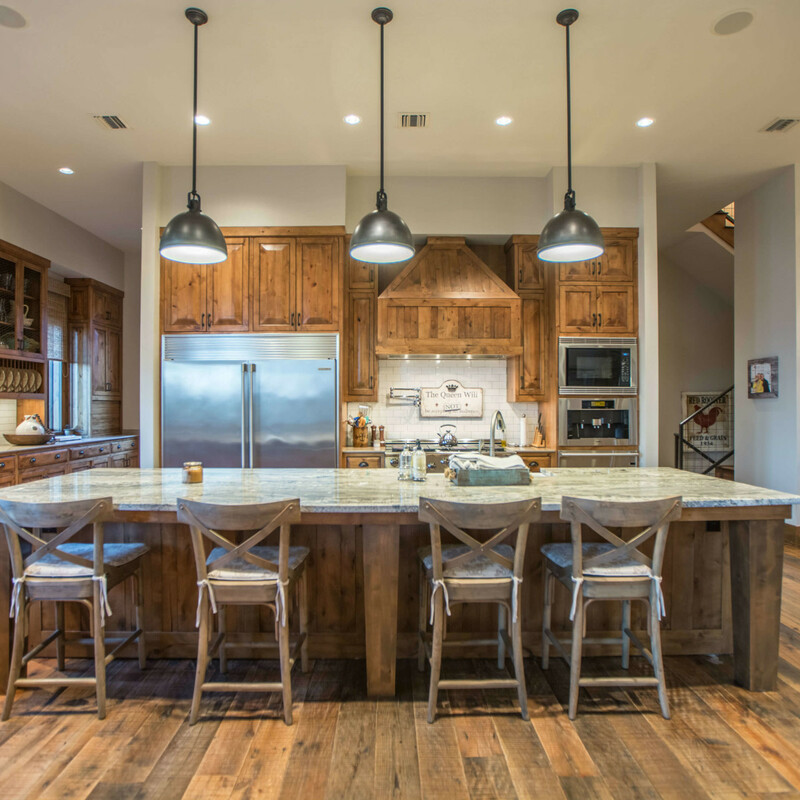 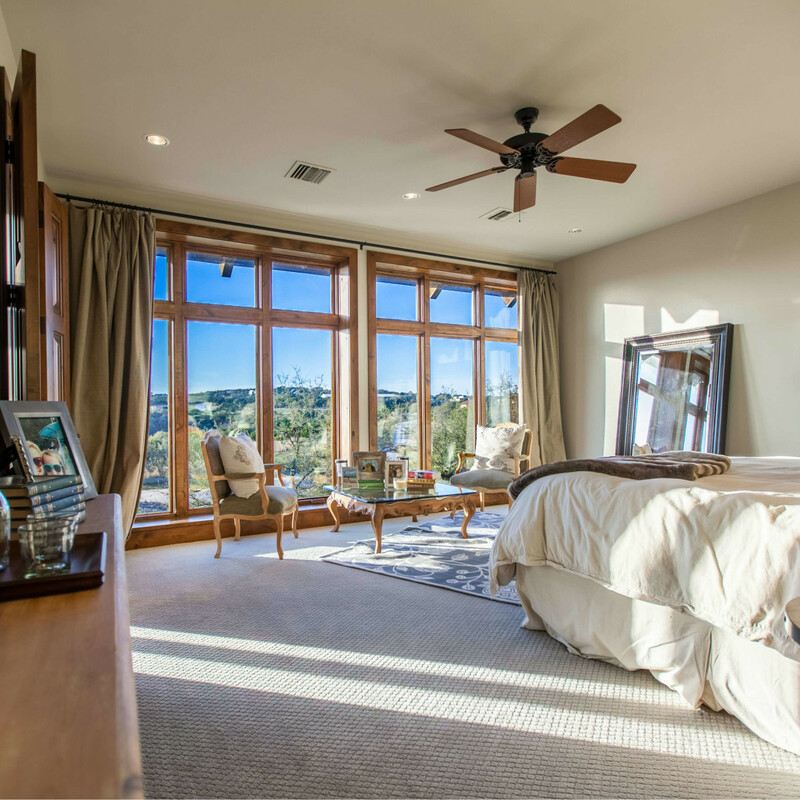 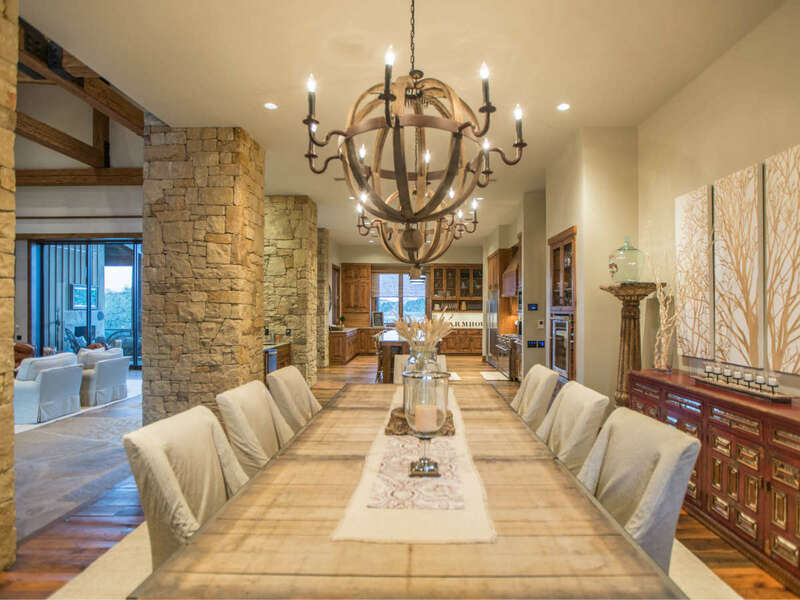 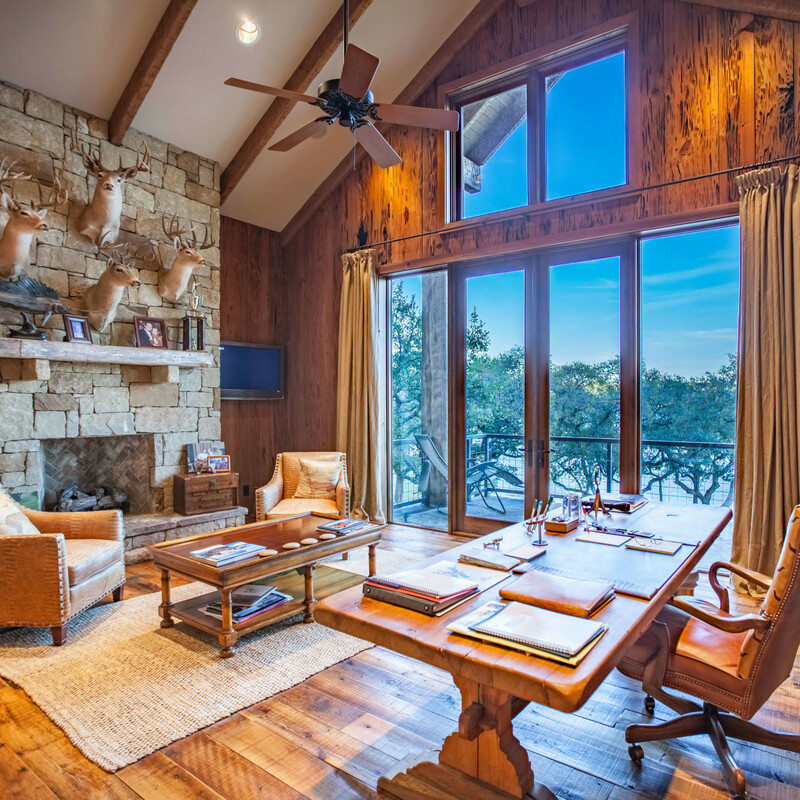 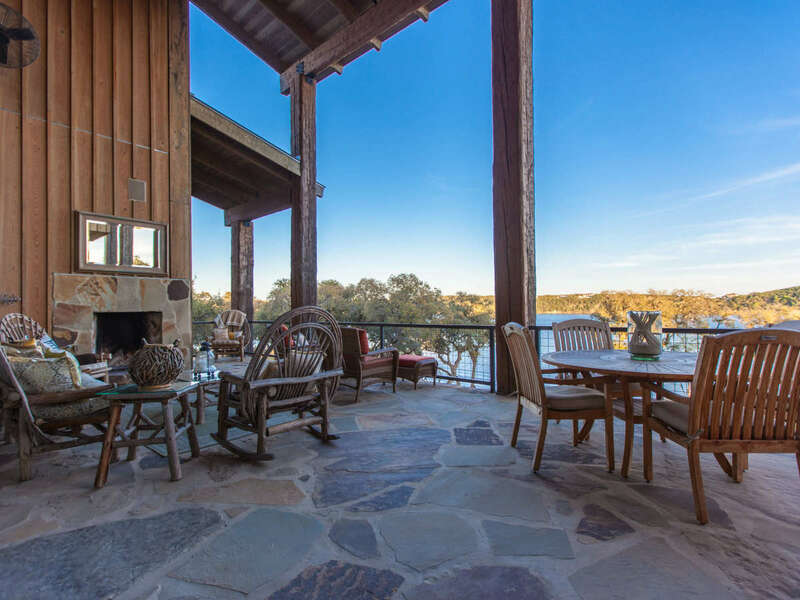 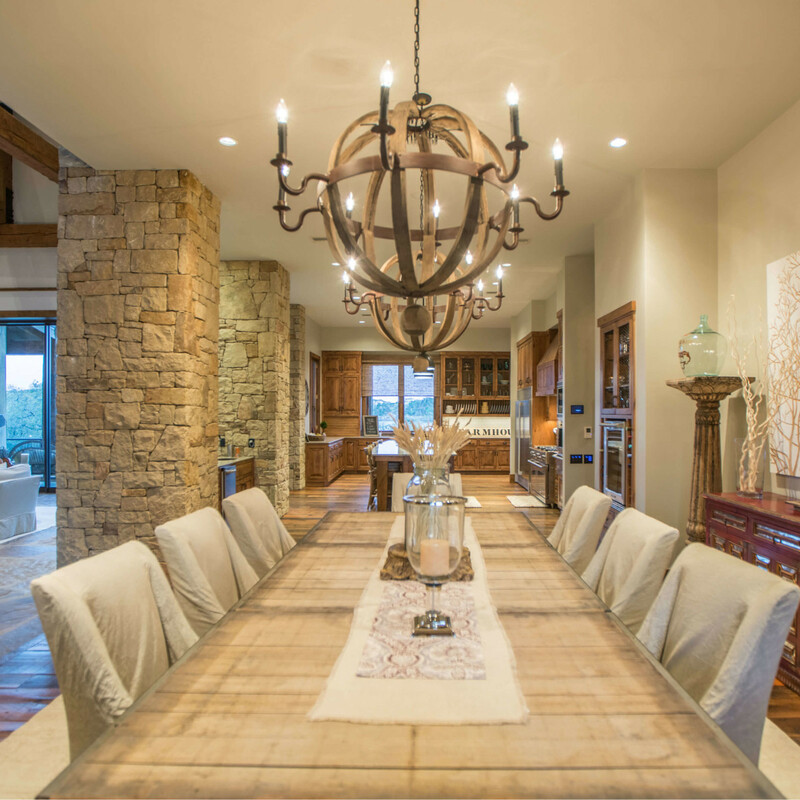 The lowdown: It is possible to be rustic and elegant at the same time, as this estate on the shore of Lake Travis proves. 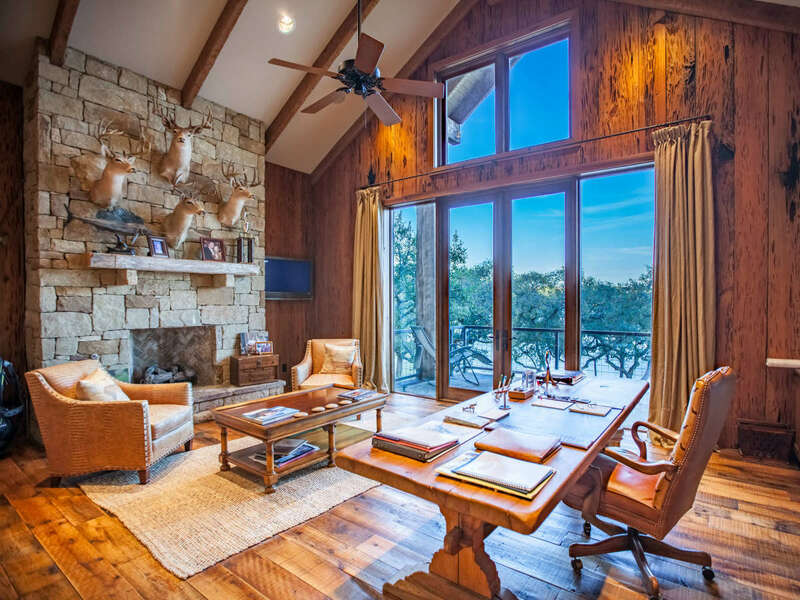 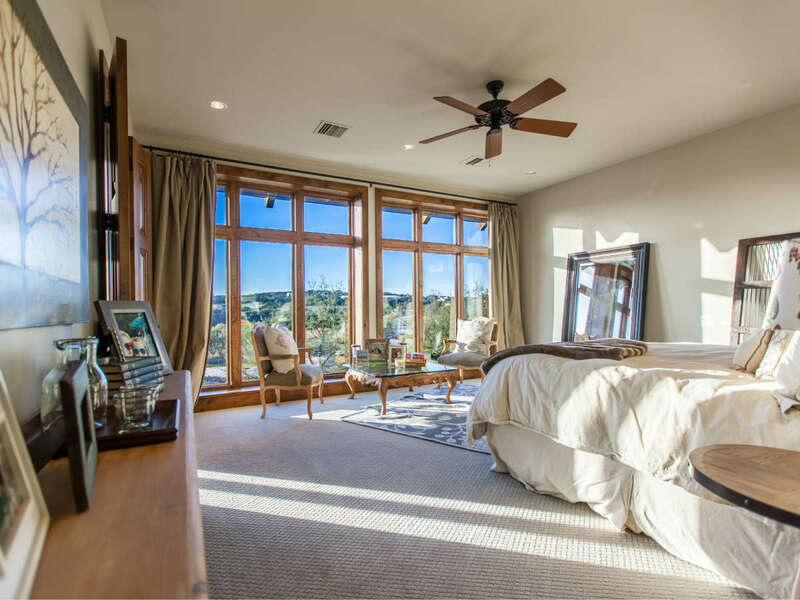 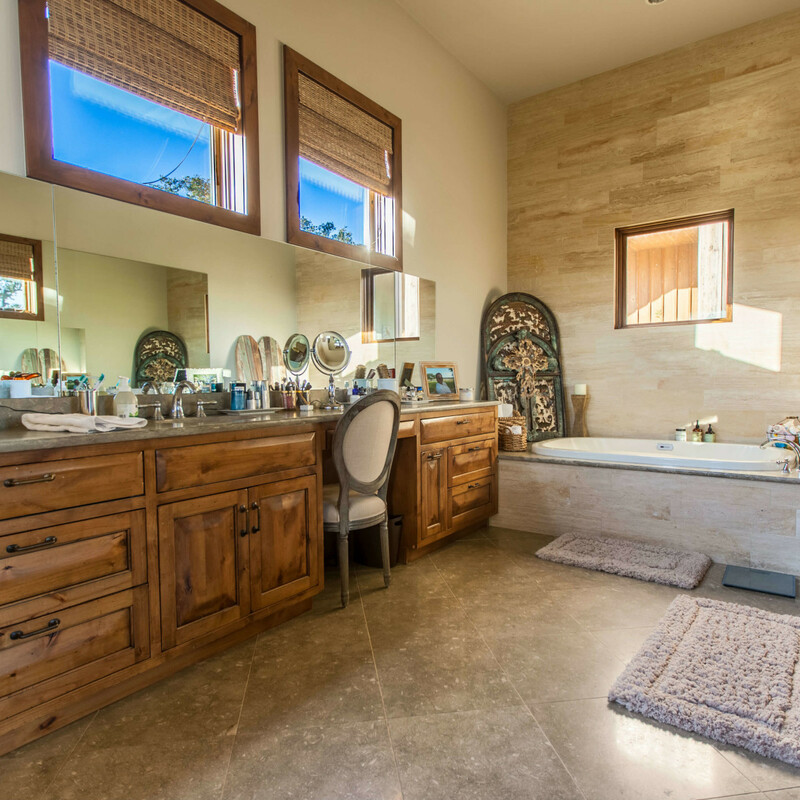 Wood floors more than 130 years old combine with modern conveniences such as a collapsible wall of windows and a separate wine room/humidor for a main house that’s the centerpiece of a roughly 7-acre compound. 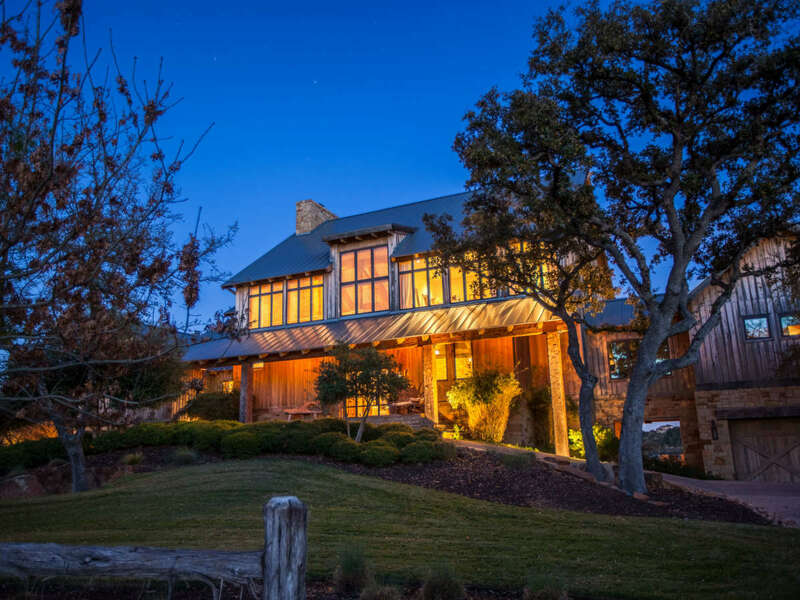 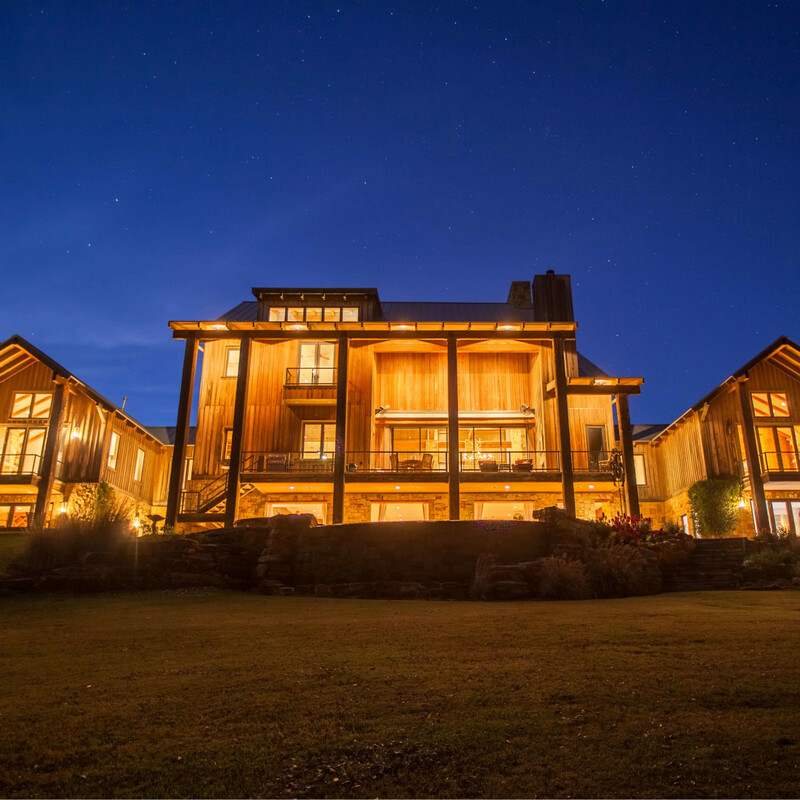 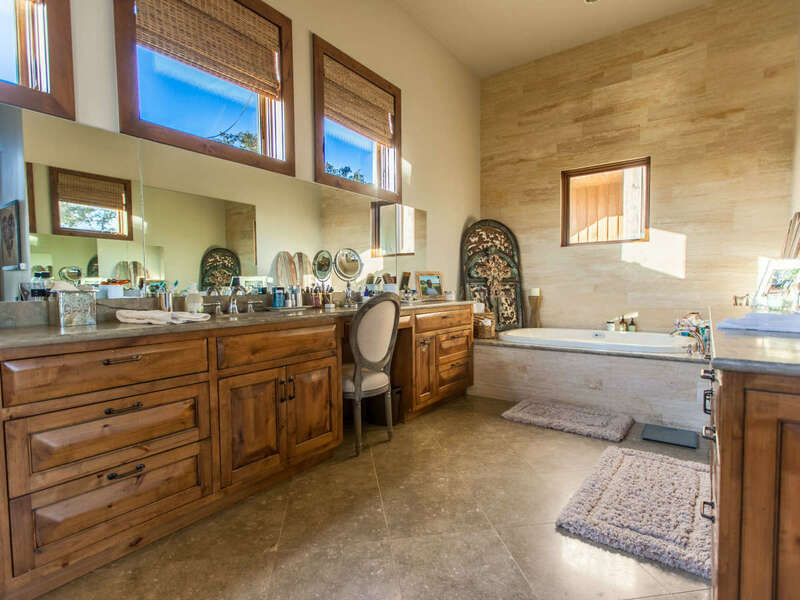 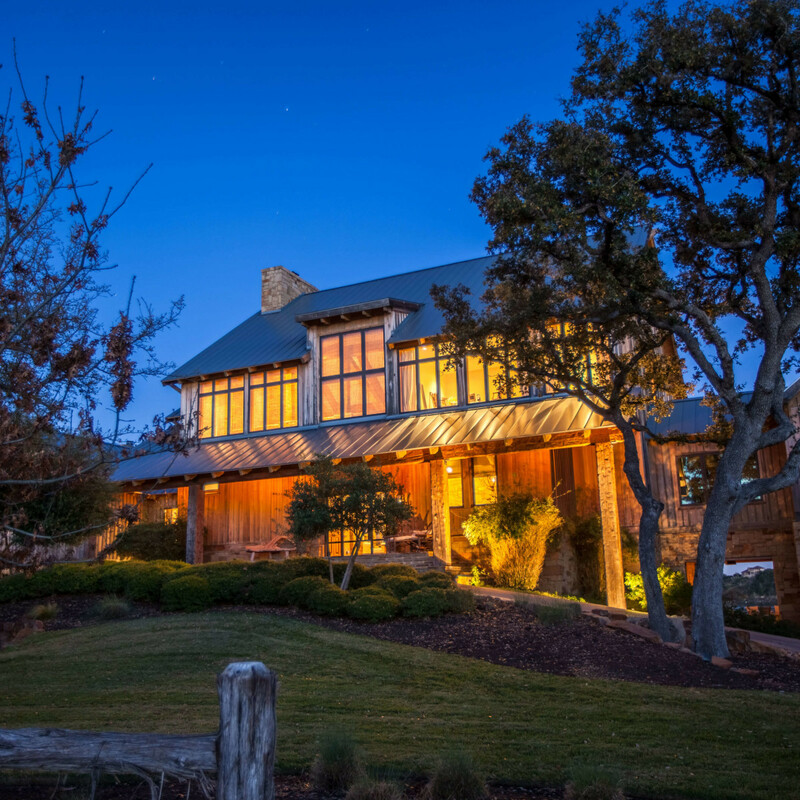 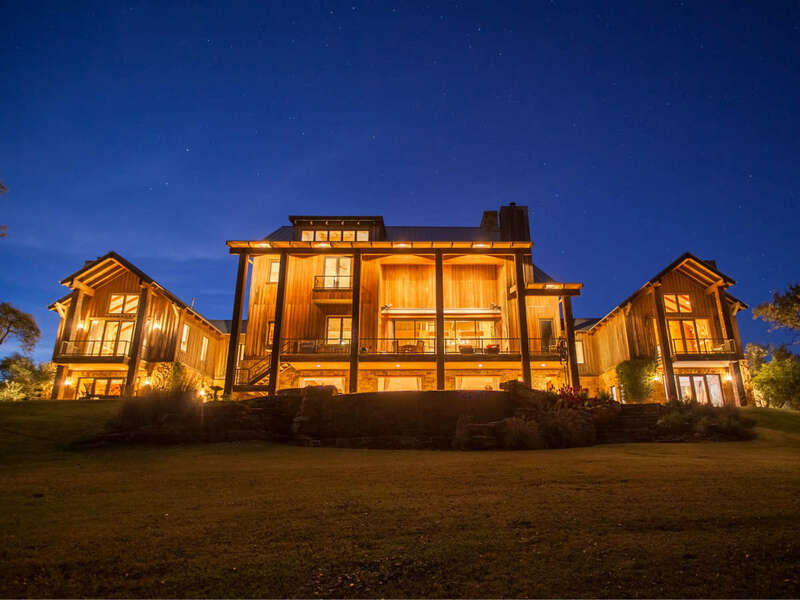 The home and its approximate 3.5 acres are $4.5 million, but you can throw in the barn/three-car garage and more acreage for a total sum of $7.1 million. 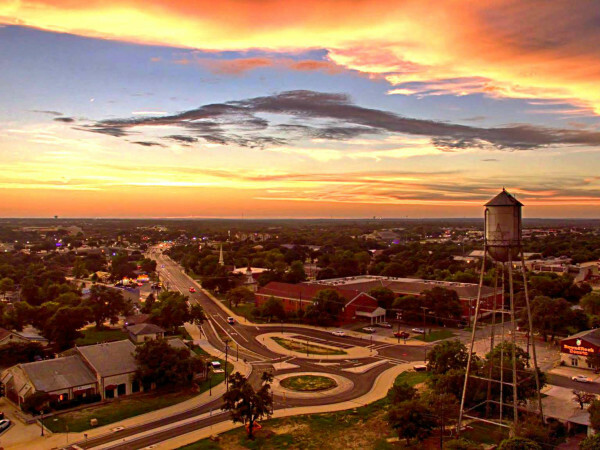 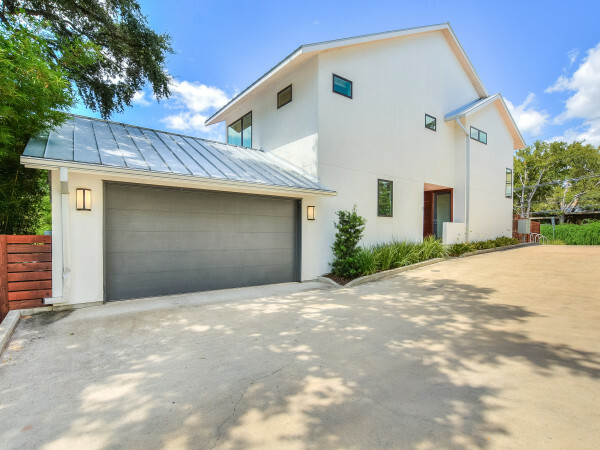 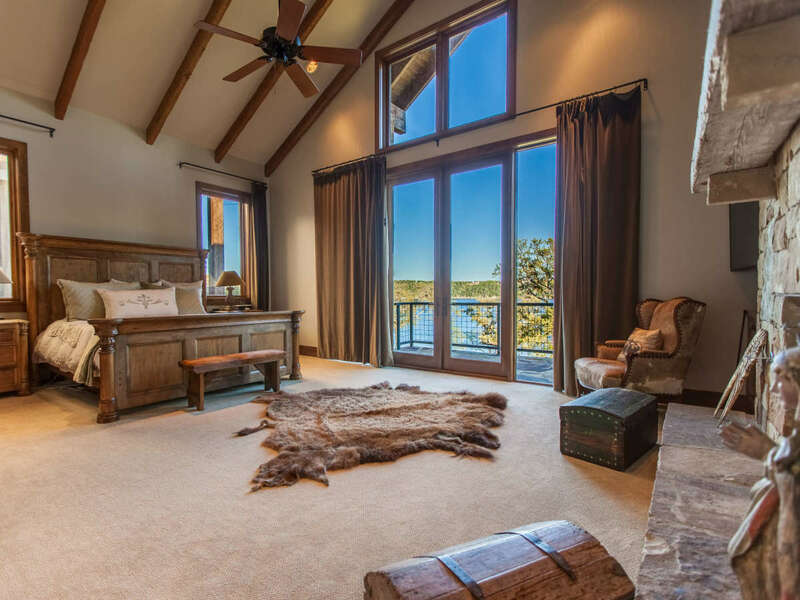 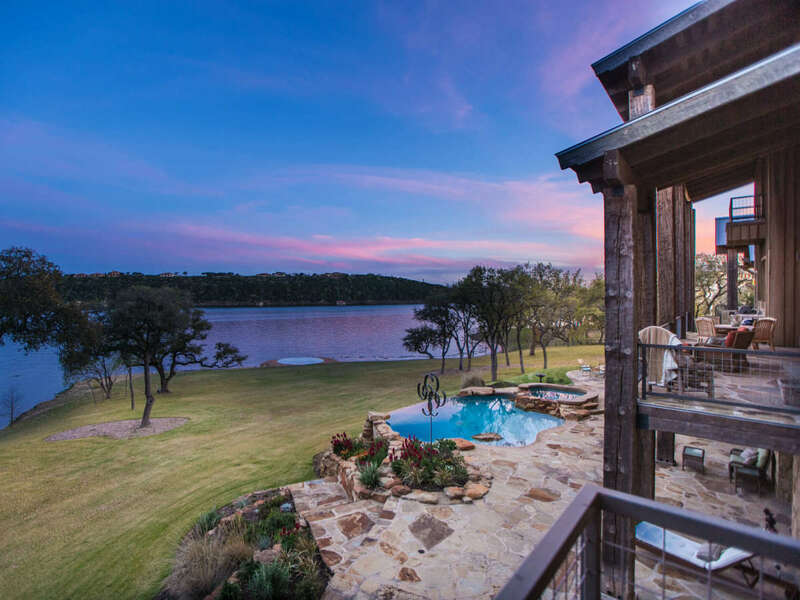 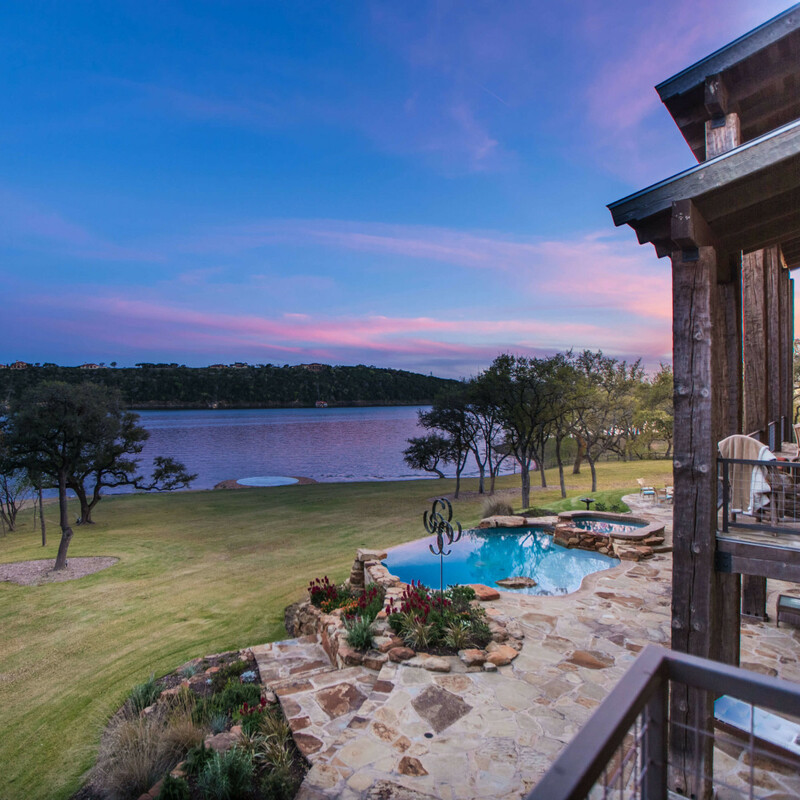 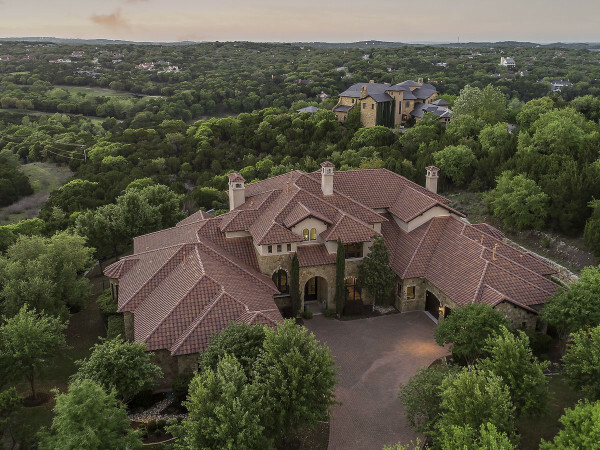 Also included with the house are the helipad, boat dock, beach access to Lake Travis’ main basin, and use of the neighborhood’s amenities: a lazy river swim park with a swim-up bar, tennis, a fishing pond, cottage rentals, the Cypress Creek Lodge, and concierge-style marina for maintenance-free boat docking.